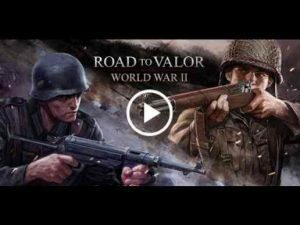 Road to Valor : Dive into the battlefield of World War II! General, give us an order! Compete with global players in real time. Start a challenge to be a ruler of the world! You can select factions from among the Allied and Axis powers! Select a specific command strategy, such as Support Ops, Airborne Ops, Fortification Doctrine, Blitzkrieg Doctrine and more. Combine them with powerful Active Skills! The strategy is the key to win! Collect different type of history-based units such as Infantry, Vehicles, Tanks, and Buildings. Build the strongest troop and gain the victory. Also, there are some heroes who motivated by real war heroes. Get rewards from Crates to collect new powerful units or Upgrade remaining units. Destroy the enemy headquarter and bunkers to receive medals and Reward Crates. Don’t forget to open Free Crates given every day! Gain Rank Points to enter the higher Battlefield to unlock new and more powerful Units to use. Try until you reach the highest Battlefield! You can gain or lose Rank Points by each Battle Victory or Defeat. Dive into a global competition with players around the world to become the greatest General in the world! Create a community, “Corps”. Share units with Corps members from the same Faction and have a debate on winning strategies to enjoy the game even more! Road to Valor: World War II has been developed to run on Android 6.0 and above with select app permissions. The app cannot be played if the required permissions are not allowed. Photos/Media/Files (EXTERNAL_STORAGE): In order to save game data, access to the device storage is required. If you need any help, send us an email at the below address. For the latest updates, visit the below link. After playing the game for about a month, I still think this is the best game in it’s class. The American and German armies are fairly well balanced (I definitely think the Germans have the late game advantage due to their far superior anti infantry units) and even losing a game is very fun and engaging. My only real issue is with the anti tank gun unit for both sides. This unit hits extremely fast, hard and has a long range, often destroying even the best tanks in the game with only 3-4 shots. Hi Gene! Thank you so much for the detailed feedback. Rest assured we’ll take this into account and keep the game enjoyable for you and your fellow players! I like playing World War II style games nd this is one of them that I came across to.Like Clash Royale but with the WWII theme.The units are pretty balanced each of them has its weak and strong points. The problem that I have right now is the U.S. Armys Airborn Ops skill D-Day, the amount of troops deployed is too much for me. I was wondering if it is possible to balance out the skill or replace it with a new one. Thank you for sharing your feedback about the D-Day skill, General! We’ll be reviewing your feedback and look for ways to improve the game for everyone. If you have suggestions, feel free to send them here help[at]dreamotion.us. 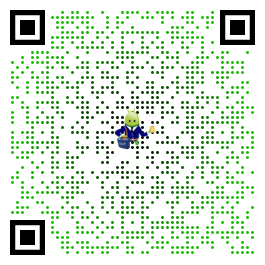 Hi Zamasu! Thanks for the great review! We’re thrilled about how much you love the game, and we’re happy you can enjoy like a true sportsman! We hope you continue being one of the best Generals out there, and we will keep the game to your liking!